Master Michael Huang has spent his entire life involved with the martial arts. He began his martial arts studies at four years old, under the guidance of his father, Grandmaster Huang, Chien-Liang. 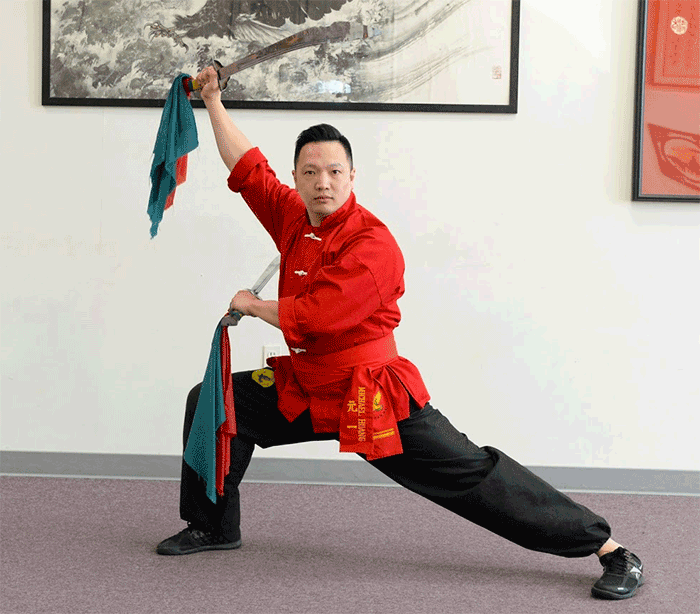 Master Michael Huang has been training in Chinese martial arts for over thirty years. Master Huang is a 65th generation disciple of Grandmaster Huang, Chien-Liang. He has studied Tien Shan Pai, including fighting techniques, traditional weapons, qi gong, nei gong, iron palm, grass dragon pole and qin na. He is only one of three people in the world to be recognized – by Grandmaster Huang – as a Master in Tien Shan Pai kung fu. Master Huang is a 6th degree Black Sash in Tien Shan Pai kung fu under Grandmaster Huang and a 6th degree Black Sash under the ranking system of The World Kuo Shu Federation (TWKSF). He is also an internationally certified level A referee under TWKSF. Master Huang is the Director of Northern Styles for the United States Kuo Shu Federation (USKSF) and a member of the USKSF Executive Committee. Master Huang has competed in various national, international and world level tournaments. At national and international tournaments, Master Huang has won numerous 1st place awards in events such as empty hand forms, weapon forms, two person forms, and full contact Lei Tai fighting. In 2001, Master Huang was awarded the USKSF Adult Male Competitor of the Year; in 2010, he was recognized as the USKSF Male Lei Tai (full contact fighting) Competitor of the Year. Master Huang was a member of the U.S. national team for the 2009 World Kuo Shu Championship tournament (in Germany) and 2012 World Kuo Shu Championship Tournament (in Malaysia) where he placed 4th and 2nd, respectively in full contact Lei Tai fighting in his weight class. Master Huang has participated in martial arts demonstrations, which raised funds for St Jude’s Children’s Research Center, the Maryland Chapter of Multiple Sclerosis Society, September 11th Relief Efforts and many others. He has received several citations from government officials for his promotion of the Chinese Martial Arts. 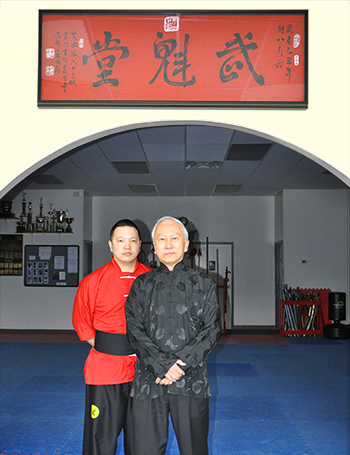 Master Huang is the head instructor for both locations of the U.S. Kuo Shu Academy (Columbia, MD and Owings Mills, MD). With over twenty years of teaching experience, Master Huang is now focused on training and coaching the next generation of Chinese martial arts practitioners. Already, he has seen substantial results of efforts, in terms of quality of his students and the success of his students in competition and in life.